In 10- to 12-inch skillet, heat oil over medium heat. Place lightly crushed cereal in shallow bowl. In large bowl, beat eggs, milk and cinnamon until well blended. Dip bread into egg mixture; coat with cereal, pressing cereal onto bread to adhere. Place in skillet. Cook bread over medium heat until golden brown on each side. Serve warm French toast with honey or maple-flavored syrup. For more flavor, add 1/4 teaspoon vanilla to egg mixture. 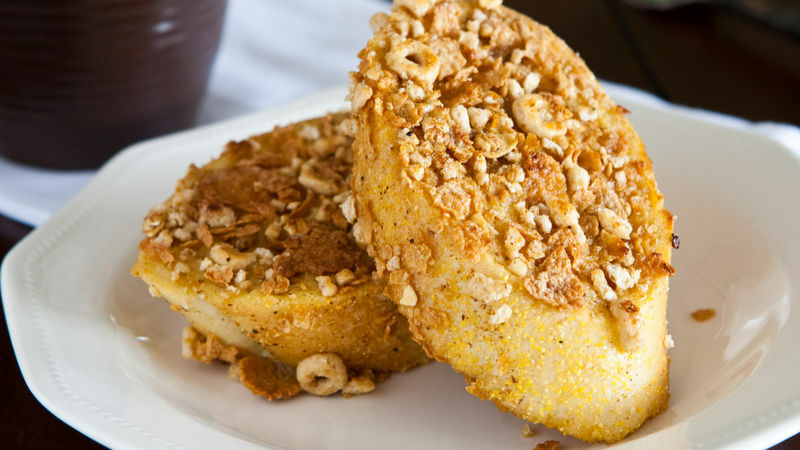 Regular Honey Nut Cheerios® cereal can also be used in this recipe.